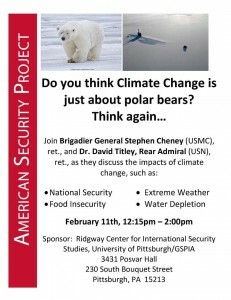 We are pleased to invite you to a discussion on “Climate Change as a Threat to National Security” on Tuesday, Feb. 11th at 12:15 pm – 1:15 pm (additional time for Q&A) in Room 3431 Posvar Hall. 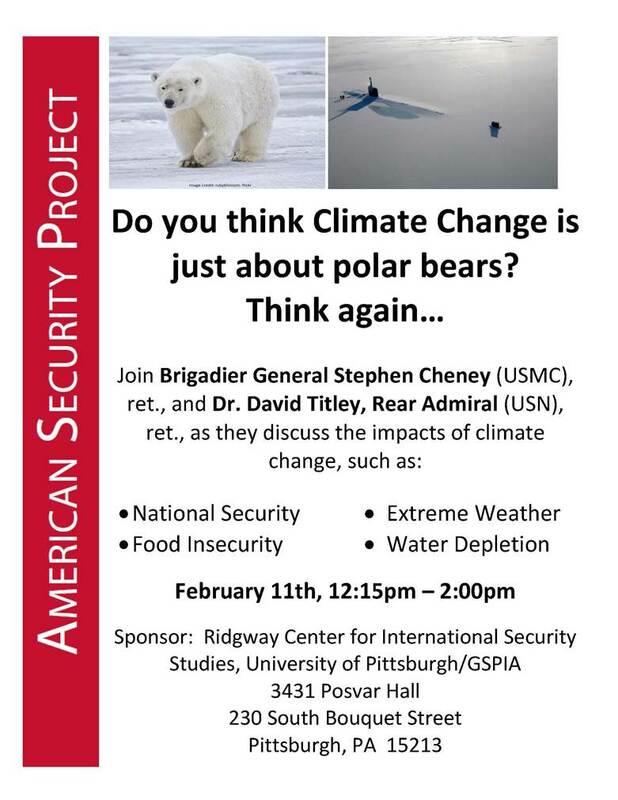 This event is presented by The American Security Project. Please RSVP to beb38 [at] pitt.edu. Bring your lunch and we will provide dessert!